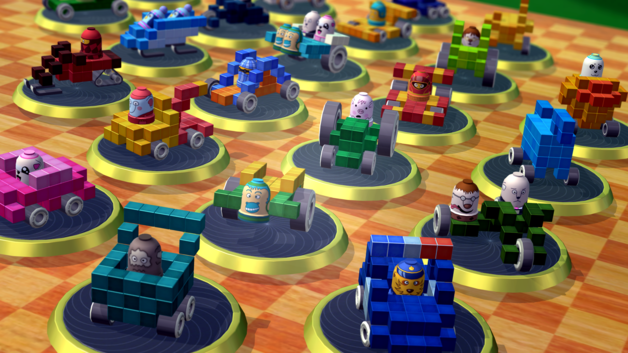 Do you remember playing a game called Lego Racers? Initially released back in July of 1999, Lego Racers was a game that sucked players into the Lego universe, changing their lives forever! 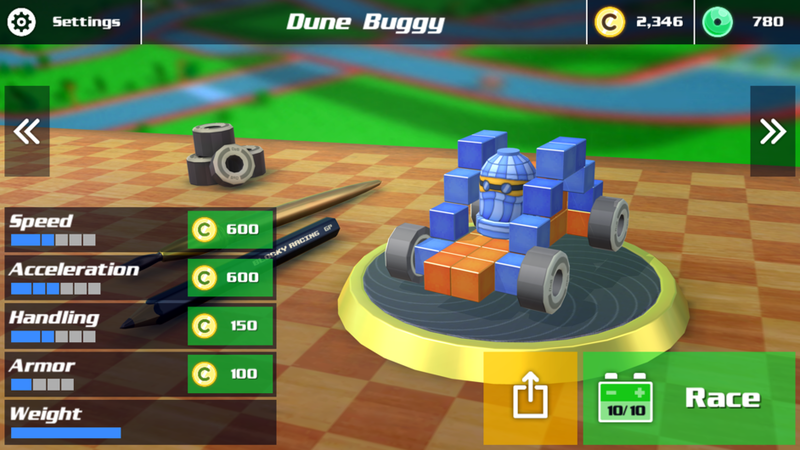 Not only did this game influence small children around the world to spend all of their money buying Lego merchandise, but it may have even influenced a cool new game called Blocky Racing (by Nexx Studio and PixelFresh). 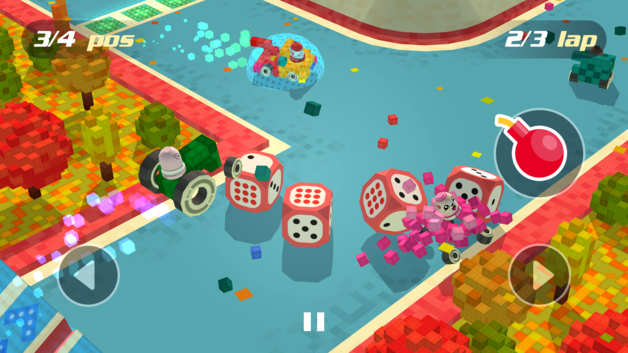 Blocky Racing is a simple top-down racing game for iOS and Android that really reminds us of the small lego racers we played with in Lego Racers. 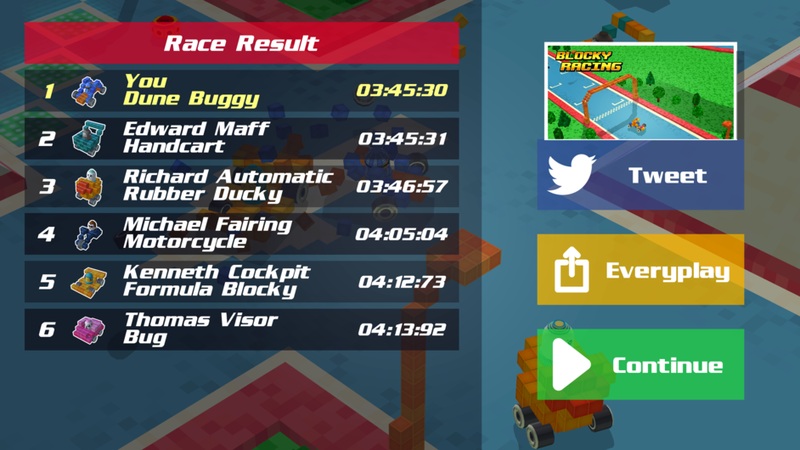 With a simplistic 3D design, an abundance of levels for you to race your way through, over 15 uniquely blocky cars for you to unlock, and a minimal number of Ads (or at least not Ads that are constantly in your face), Blocky Racing is an awesome little racing game that really reminds us of the Lego race cars we used to play with. 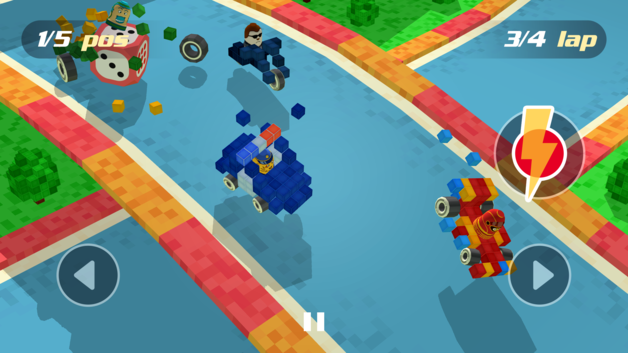 If you loved playing Lego Racers almost 20 years ago, Blocky Racing is a game you will likely really enjoy!